Premium fortified mineral supplement formulated for horses at stud (mares, stallions, weanlings and yearlings). Specifically formulated to meet the needs of brood mares and foals at stud. Fortified copper, zinc, calcium, phosphorus plus added magnesium. Supplies all essential minerals critical for sound bone growth and development. Provides essential co-factors, Vitamins A & D, folic acid for bone development. Aids in the promotion of proper absorption, utilization and retention of calcium and phosphorus. Safe for pregnant mares, lactating mares, stallions and foals. Promotes optimal absorption, utilisation and retention of calcium and phosphorus. Provides optimum nutrition during early skeletal development for steady growth. Formulated to meet the specific needs of paddocked and stud horses of all ages. Rectifies calcium and phosphorus deficiencies and incorrect ratios which negatively impact bone development and soundness. Ensures sound bone, tendon and ligament development and integrity. 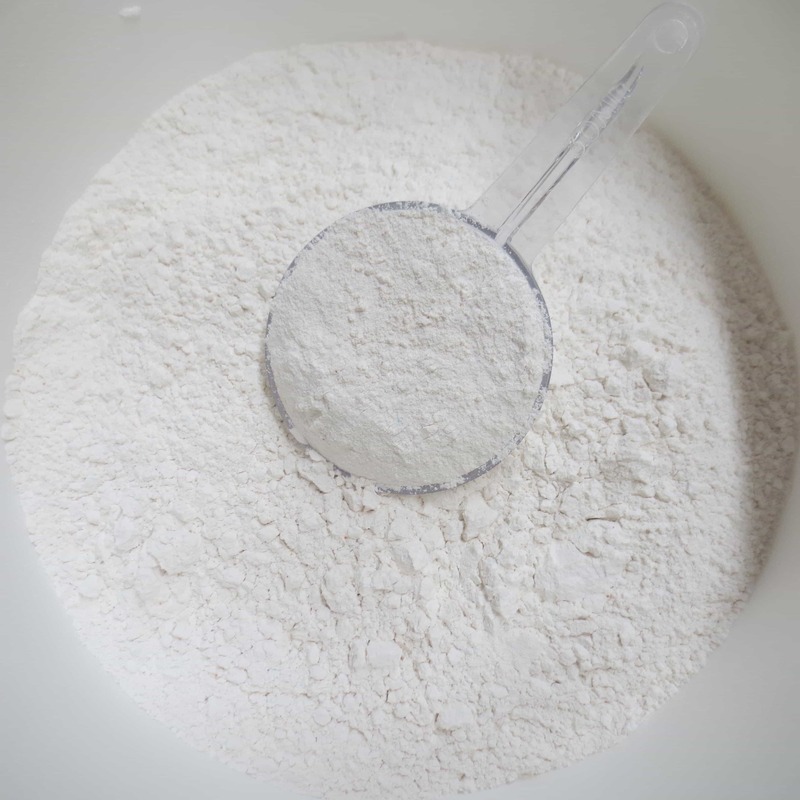 Allows proper utilization and deposition of calcium and phosphorus in bone and for red blood cell production. Safely supplements and effectively balances vitamin and trace element deficiencies in pastured horses. Effective in adult horses where calcium, phosphorus, copper and zinc deficiencies or imbalances may exist. Mix Ranvet Folactin Red Plus thoroughly through the feed. A measure is provided. One level measure holds 30g Folactin Red Plus. Pregnant mares 60-90g daily; Lactating mares 60-90g daily; Dry mares 30-60g daily; Stallions 30-60g daily; Foals (creep fed) 15-60g daily; Weanlings 30-60g daily; Yearlings 30-60g daily; Horses (over 16 years) additional 30-60g daily. 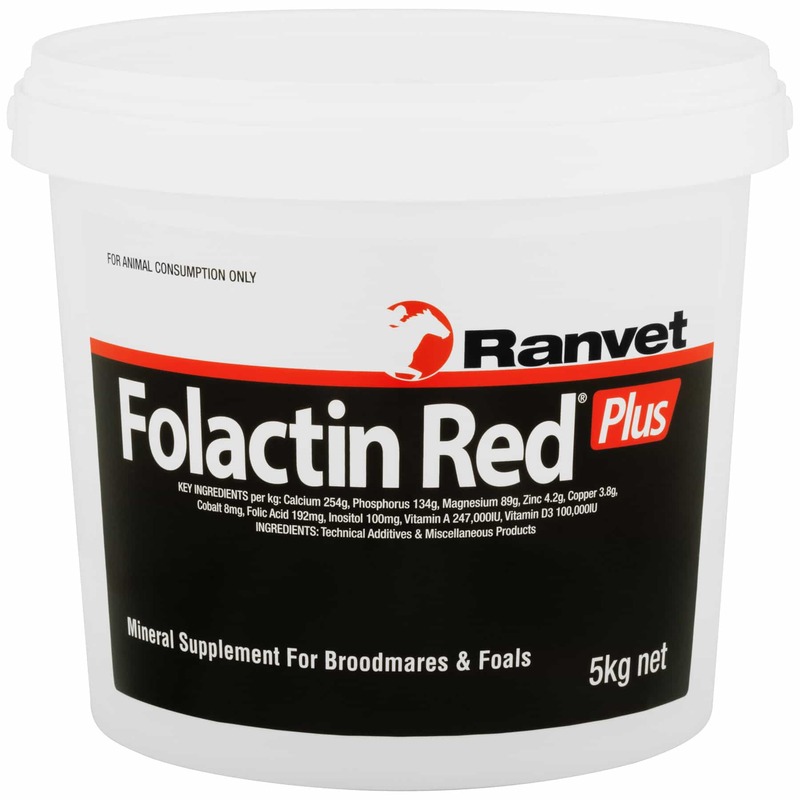 As Folactin Red Plus contains copper salt, care must be taken when administering to horses with a copper sufficient diet. Additionally, the supplementation of Folactin Red Plus to brood mares, foals, weanlings and yearlings is advised until training/racing commences. At this time, continue mineral supplementation with Folactin Blue during training/racing/competition.